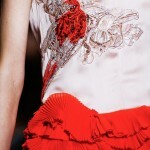 This is where all the magic happens and Couture steps right into your wardrobe! This is where You Can Do the really amazing things you’ve seen in a fashion show! 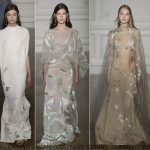 Now after this short pep talk you might be tempted to believe that you can actually replicate most of the things you see on the runway. I would love that! 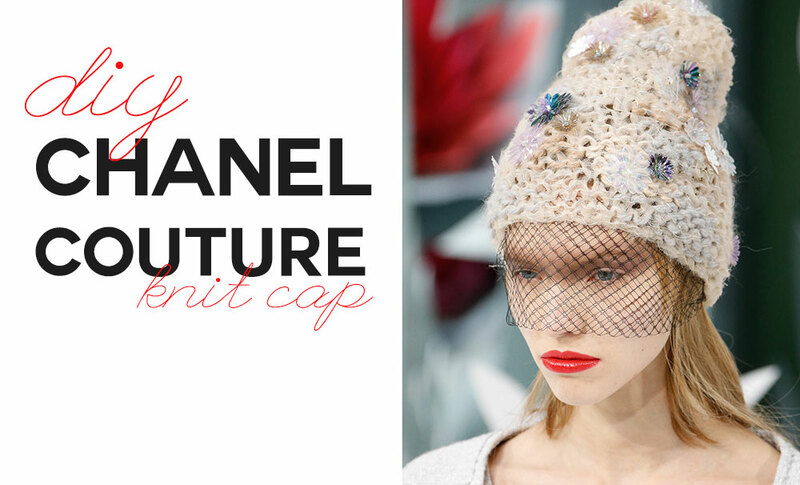 But we’re taking baby steps and today we’re doing the Chanel Knit Cap as seen in the Chanel Haute Couture Spring Summer 2015 collection shown this month in Paris. Thank you, Karl Lagerfeld, for the inspiration! 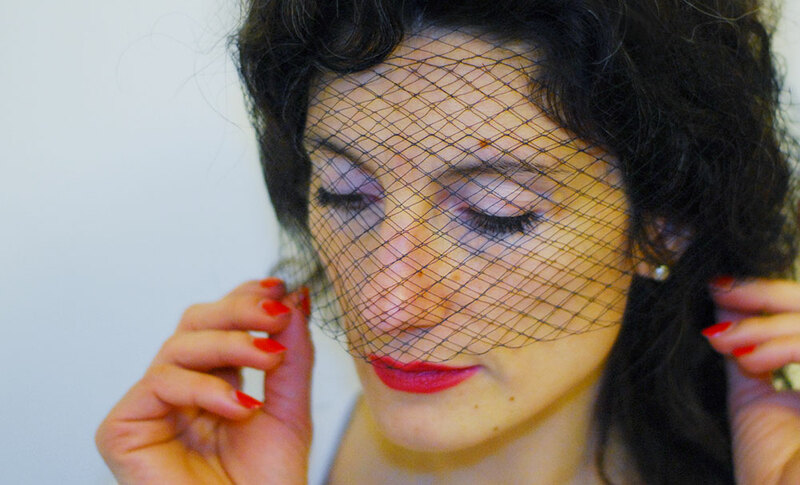 For this couture beauty you need really simple supplies you may already have: a knit cap, scraps of fabric, sequins (optional) and birdcage black veil. 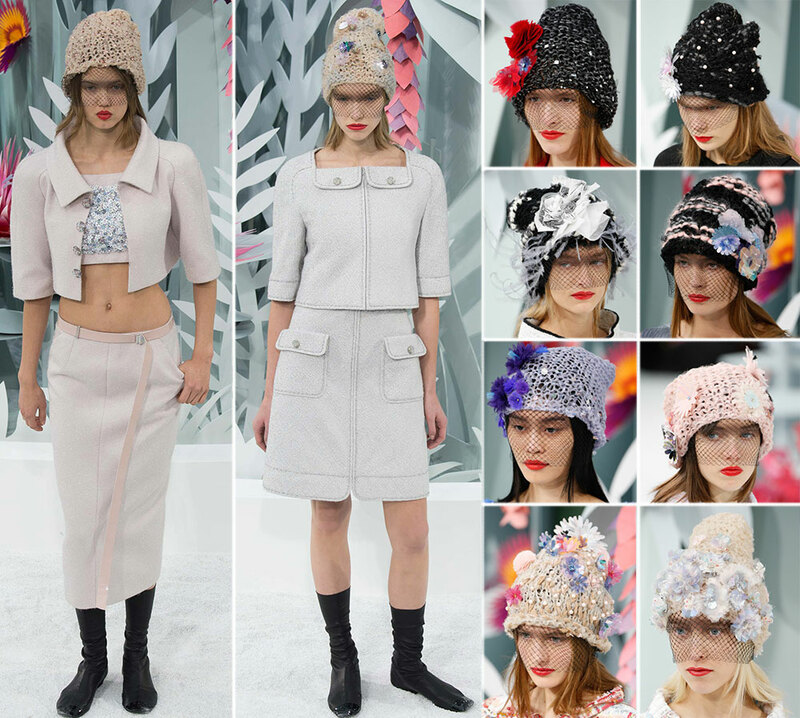 You can actually opt for a different knit cap color – I chose the beige buttery one, but Lagerfeld sent more on the catwalk: black, grey, soft pink, soft lavender – depending on the color of the beanie of your choice, you may need different accessories to replicate the exact same one from Chanel Couture. Enough talking, let’s get the Couture stuff done now! Round up your supplies, prep your scissors, plug in your glue gun and on with the tulle flowers! I used different leftover scraps I had in my craft drawer – white tulle, ribbons, lace, tiny fabric flowers. It doesn’t even matter how you cut them – surely not a regular round shape! 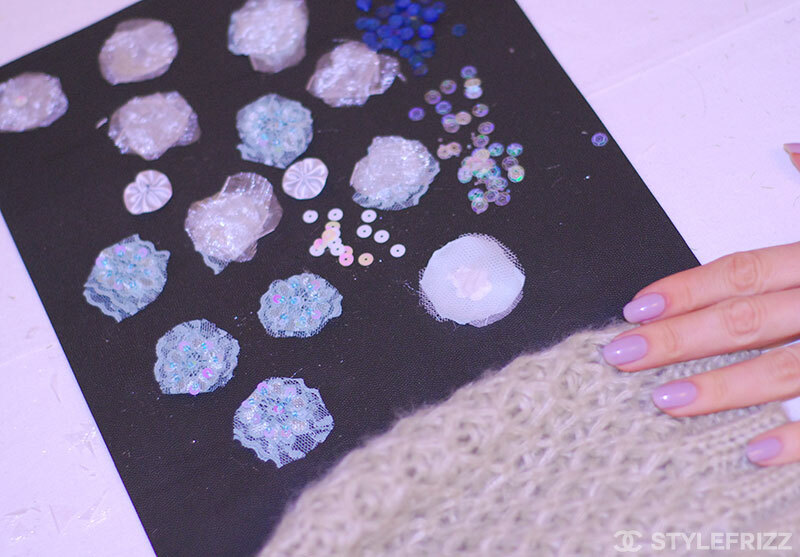 – layer two-three shapes, glue them together, finish with a sequin in the middle and that’s all there is! I have done about 30 flowers of all sizes. See also: DIY Chanel Couture Sandals for less! If you want to go with the flow now it’s the actual placement time. If you’re more of a planner, you can first try different positions for the flowers and then proceed with the actual glueing (I did that – contrary to my usual impulse crafting routine, I only had one beanie and I really didn’t want to mess things up for you – ear –to-ear-grin). So if you don’t want to end up gluing through your beanie, you need to place a piece of cardboard inside the beanie so the glue doesn’t go through the wool on the other side. After you glued all the flowers, take the sequins and splatter them around! Have fun, don’t plan this out! Let it rain with sequins and flowers! The worse that can happen is you finish the supplies before finishing adorning the beanie. 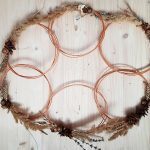 But that’s ok too – find more scraps and make more flowers! See those tiny, tiny blue fabric flowers? I didn’t plan for those but I had finish my thirty-something flowers and I had plenty of empty space on my beanie. So I improvised! 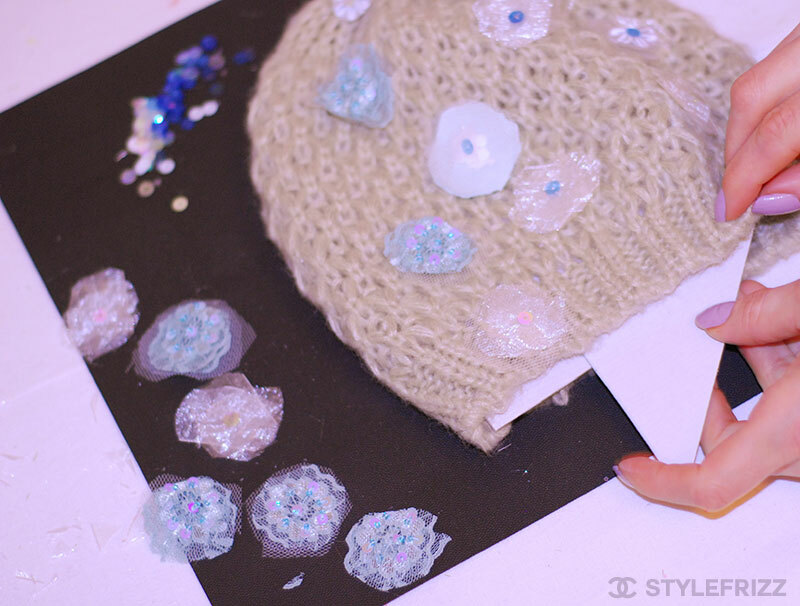 place tiny drops of hot glue and then put your tiny flowers on the still hot drops to secure them on the beanie; take it slowly but allow yourself to be creative in creating the flowers pattern. Add sequins or beads if you have empty space to fill! See also: How to DIY Chanel & Dior Sneakers for Less! 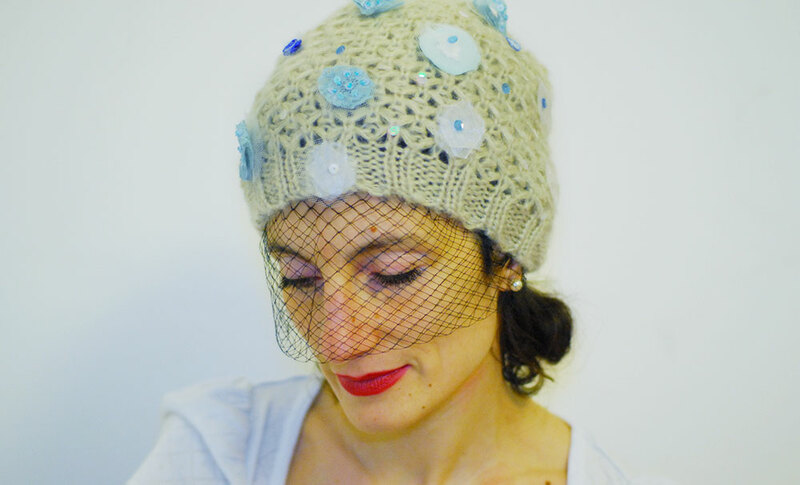 a rectangular piece of black birdcage veil knotted over your face, just above the mouth or lower, you don’t need to secure it in place, the knit cap will do that for you! Good! Let it cool completely, prepare your black birdcage black veil and excuse me while I go pretty myself up with some really red rouge! Oh-la-la! I feel so Chanel right now, Coco would go ‘who’s that girl? She wears something I would’ve designed!’ ha! 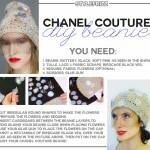 Do It Yourself Couture! I’m smitten about it! 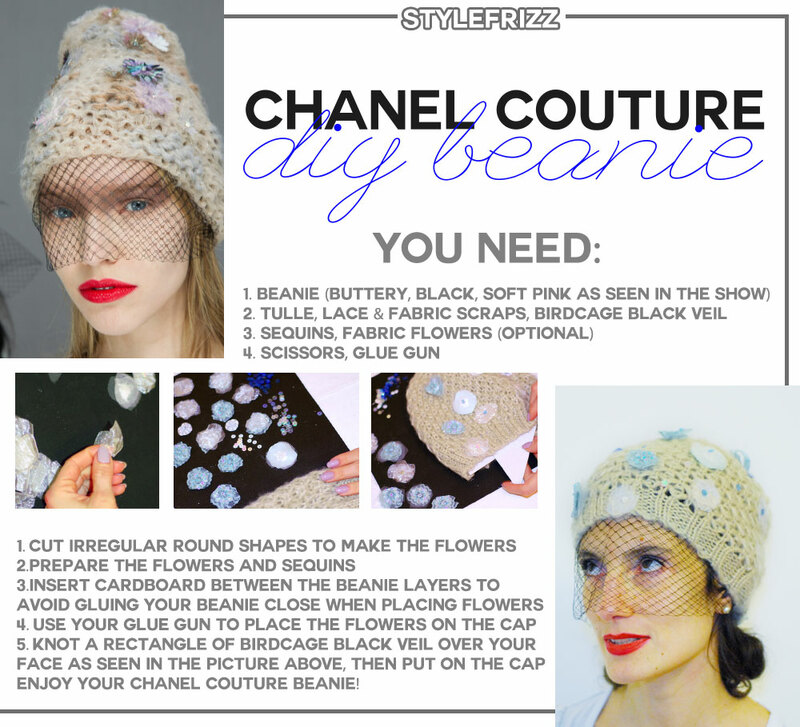 the shy do-it-yourself-er, yours truly, with my new Chanel Couture beanie! I swear I was blushing underneath the veil! 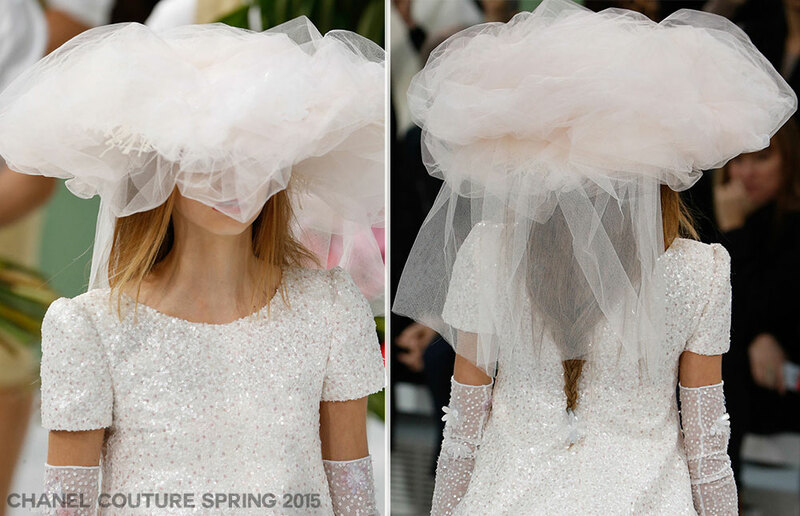 Karl Lagerfeld accessorized his Chanel Couture Spring 2015 brides with ivory tulle hats – a fabulous idea to steal! 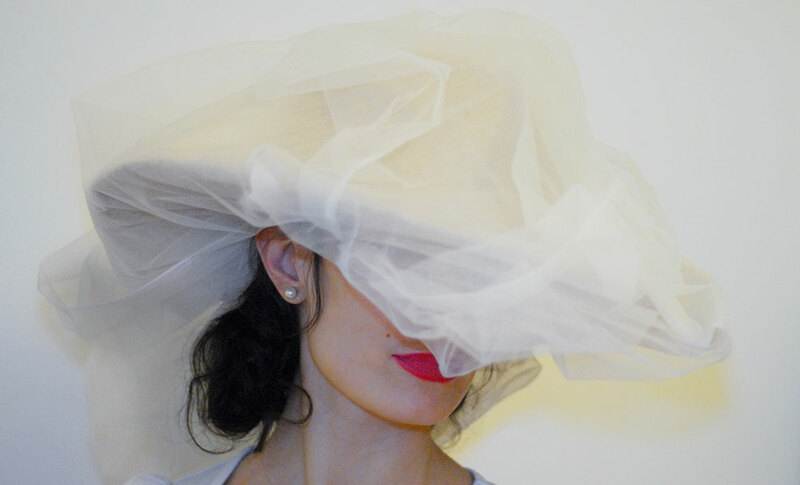 another Chanel Couture diy project: wrap a large straw hat in a generous piece of ivory tulle; secure it with bobby pins or hair accessories and you can wear a diy Couture piece to your wedding! or a party! or just for fun, any day, any time! Merci Diyana! C’est trop gentil a toi, une vraie connaisseuse en mode et mannequins! Chapeau! I don’t care about fashion whatsoever, but this is so cool!!! And that last hat (the white one)………. I love it! Gorgeous picture too! Nifty and fun but for a Canadian winter I find it a tad too fussy. I like my toques to be both stylish, cute and not fussy. Thank you ladies for your amazing feedback! It really encourages me and I will most definitely share more of my projects with personal (team work) photos! I have a couple of ideas I’m thinking (and working) on right now! Fingers crossed, I trust you with myself!